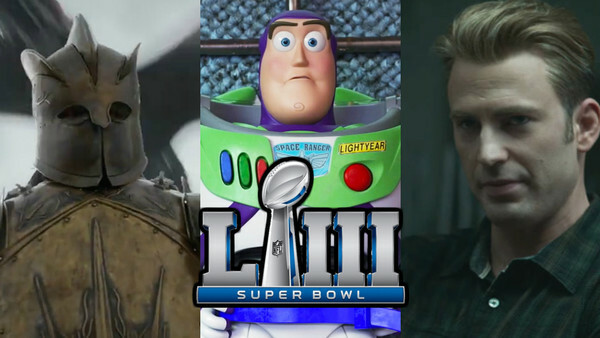 The Super Bowl has come and gone for another year, and while it's fair to say that this year's game was a bit of a bore, at least there was the solace of Hollywood dishing up some epic trailers for some of 2019's most anticipated movies and TV shows. In line with rumours that studios would be scaling back their Super Bowl advertising due to the exorbitant $5.25 million price tag for a 30-second slot, a number of key tentpoles were missing from the show - namely Godzilla: King of the Monsters, Detective Pikachu, The Lion King, Aladdin, Shazam! and Stranger Things - but there were still a number of tantalising teasers for fans to pore over. Whether aired during the game or just released online in order to avoid that hefty fee, these were the films and series that got everyone talking over the course of the four-hour broadcast. Some highly anticipated blockbusters bolstered their already epic stock with fans, other films introduced themselves to audiences for the first time in bold fashion, and HBO made one of the weirdest brand crossovers ever to celebrate the final season of a certain hit fantasy show.